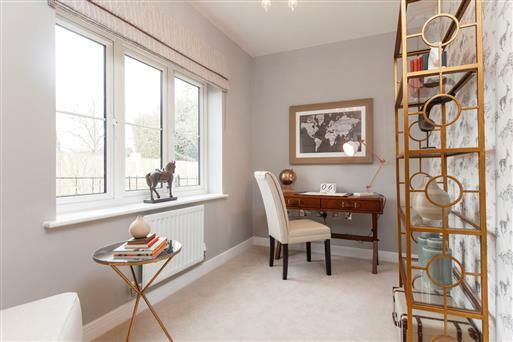 Estone Grange is an exciting development of 3,4 and 5-bedroom new homes in Aston Clinton which boasts a sought-after village location on the outskirts of picturesque Aylesbury. These attractive new homes offer a unique opportunity to live within stunning countryside surrounds while benefiting from the convenience of a nearby town centre. Built to a high level of specification throughout, these properties boast generously-sized plots, with some homes featuring a double garage. All Leisure pursuits are well-catered for in the area with an impressive range of shopping destinations and popular eateries nearby. Residents will find entertainment to suit all ages in neighbouring Aylesbury, with a state-of-the-art theatre, two large retail centres and an extensive county museum with a popular children’s art gallery to be enjoyed. As a historic market town, Aylesbury presents a mix of traditional Georgian architecture and convenient modern amenities. The popular Aylesbury market has become an institution in the town, presenting a wide range of organic local produce, fresh flowers and artisan crafts. An ideal location for growing and mature families, these new homes in Aston Clinton benefit from close proximity to several highly-regarded schools covering infant through to higher education. Under 10 minutes away by car is Goldfield Infants and Nursery School, which caters for ages three to seven, while the popular Aston Clinton primary school is just a five minute walk away. There are a range of notable secondary schools also in the area such as the award-winning Aylesbury Grammar School, while two popular universities are located within a 40-minute drive. Commuters will benefit from convenient transport connections in the area, with Tring railway station providing regular services to London Euston in just 36 minutes, and Aylesbury station affording connections to Princes Risborough and London Marylebone via High Wycombe. Road connections from Estone Grange are also excellent with the A41 just five minutes away, linking Birkhamsted with London and providing access to the capital city in one hour and 10 minutes.